Buy this handmade woolen modern carpet which is woven in India using Tibetan technique. It is woven in pure New Zealand wool and cotton material and due to the pure material, it is a highly durable carpet. A perfect hand-knotted wool area rug which is made in Tibetan weave in India will give a classy look to your décor. This large size woolen carpet is 100% suitable for a living space. 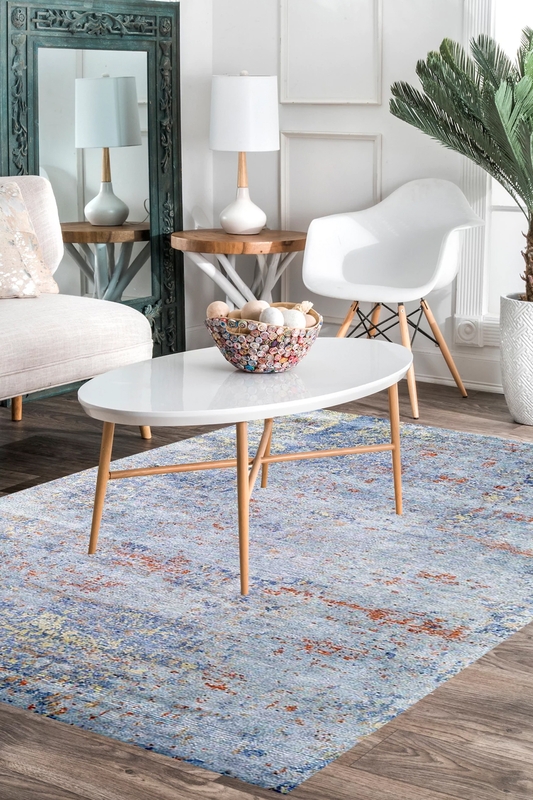 Add warmth and charm to your living space by placing this beautiful carpet in your home.